"I recommend you use this stadium for the benefit of the youth of Decatur." $100,000 to build a new stadium at the site of the new Decatur High School. He sold lifetime 50yd line seats and raised the money for the stadium. DISCO (Decatur Iron and Steel Company) supplied the steel for the West grandstands. The East stands were added later. In 1990 The Earl Webb Field House was added as the largest financial addition since 1948. In 2018 Field turf with the D logo was added with a 6-lane track for $1.7 million. 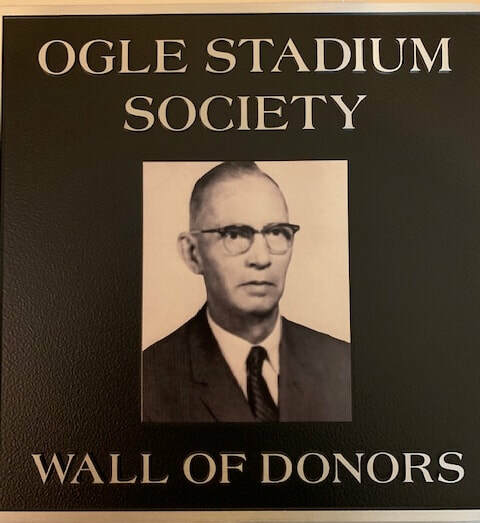 A wall of honor for the society will be installed inside Ogle Stadium for those benefactor's recognition in their support of Decatur High School athletics and Historic Ogle stadium. 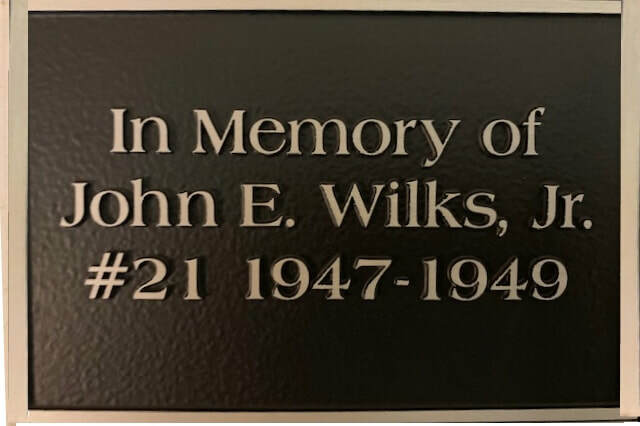 All plaques are brass and measure 4" x 6". The minimum donation for a plaque is $250.